It takes a lot of self-confidence to dance in public. But, it takes even more confidence to dance in public to music nobody else can hear. Preston Leatherman did just that as he headed to the local mall, turned on Kenny Loggins' "Footloose" on his iPod and danced like nobody was watching. 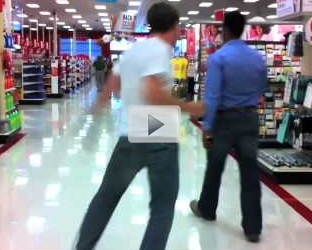 Watch this video and see how other shoppers reacted to his crazy idea.